Rod Dawson is on a mission to bring adventure to everyone who wants it. That’s why he took over a small inflatable boat manufacturer and turned it into New Zealand’s latest on-the-water success story. Even a quick look at his inflatable boat designs tells you that you’re looking at something new, something crafted by a boatie for boaties. Rod has an eye for detail that’s been informed through multiple America’s Cup campaigns. He’s a man in love with the adventure of being out on the water, he still races competitively as a tactician, strategist and trimmer, and by his own count spends more than 200 days a year out on the water, so he knows what to look for. When he took over the original MotaYak operation he saw the basis of something great. MotaYak already had an excellent reputation, and the unique advantage of packing away in a bag for easy stowage – The first time he saw one dragged from the boot of a car he couldn’t believe that the whole bag-to-the-water operation took barely ten minutes! This was obviously a range of inflatables that was ready to go places, but he also knew that there were exciting new technologies to take advantage of, and talented designers with innovative ideas that could take MotaYak to another level. Rod was committed to bringing this together together under a new banner, delivering outstanding inflatable boats that anyone would be proud to own. He went to Germany to source more durable, UV-resistant fabrics from a company that’s been a leader in the field for over sixty years. And at the state-of-the-art production facility he instituted mandatory welded seams instead of the conventional (and short-lived) glued versions that have always been the Achilles heel of inflatable craft. 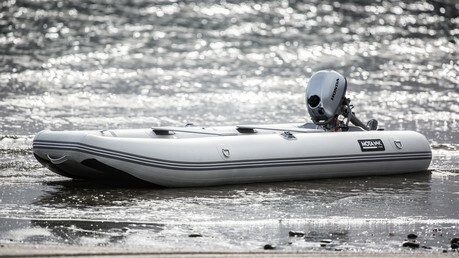 These advances added up to something special, a range of exciting inflatable craft that now qualified for a five-year warranty – over double what the original models offered – and a new name, True Kit. True Kit and their supply partners, Honda Marine for outstanding outboards and Railblaza for top quality fittings, now offer the complete package for yachties, fishermen, motorhomers or backwoods explorers.